Your bedroom is more than just a place to sleep; it’s a sanctuary for relaxation and alone time (or not alone time, as the case may sometimes be). It needs to be comfortable in a way no other room in the house does, and fortunately technology can help in all sorts of ways. Whether it’s temperature control or improving sleep patterns, these gadgets maximize the bedroom’s bedroom-iness. Sometimes, you just can’t win with air circulation on your bed. In the summer, it gets too hot; in the winter it can get sweaty under that thick comforter. Instead of a ceiling fan to add a little breathing room, go for the Brookstone bed fan that blows air directly under your sheets. The bed fan is good for couples, in case one person prefers warmer sleeping temperature than the other, and is a good way to save money on air conditioning when you only need to cool the bed. 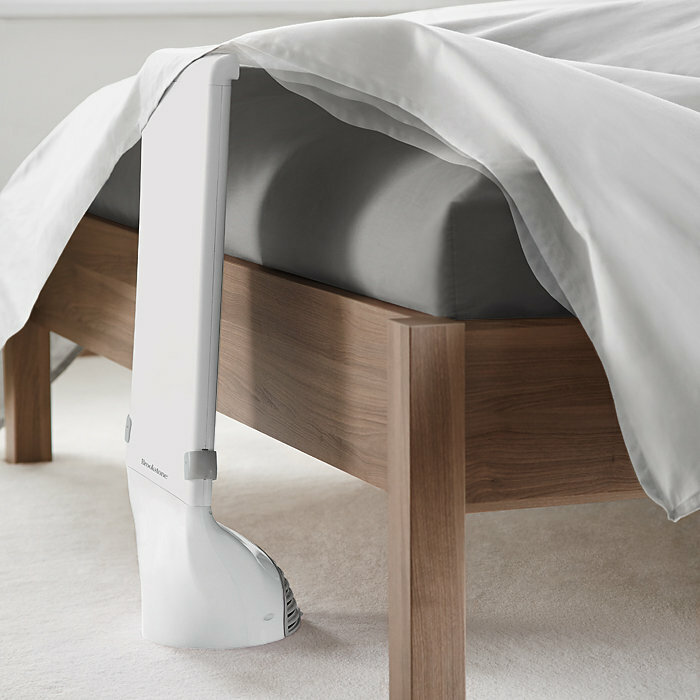 The fan is also height-adjustable to fit any bed frame and size, and comes with a wireless remote to turn things off overnight if it gets too cold. I know, $8,000 is a ridiculous amount of money to spend on furniture. But look at this thing! 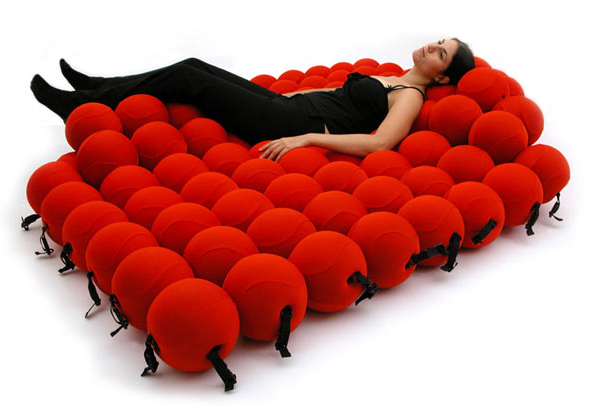 It’s modular, shape-shifts to fit your body, and is convertible to use as a bed, lounger, or sofa. When you consider the cash you spend buying various furniture for your home when you can just get one that acts as everything, you may end up saving a bit of money in the long run. This is especially appropriate if you have a studio home, or spend all your time in the bedroom anyway. It’s like sleeping on a personal cloud. If you’re a night sweater when you go to bed, consider wrapping your mattress in the Sheex performance bedsheets. Sheex are made with the same material used in Under Armour and Nike sports wear so it’s made to wick away moisture and keep you cool and comfortable overnight. Now, your bed will always feel like the cool side of the pillow – except you never have to grumpily flip it over all night long. Who doesn’t love that? Do you have a hard time falling asleep at night, no matter how tired you are? Give Nightwave Sleep Assistant a shot. Studies have shown that soft, patterned light movements can help to relax the mind, hypotizing you right to bed. Sounds crazy, but we can see the logic. 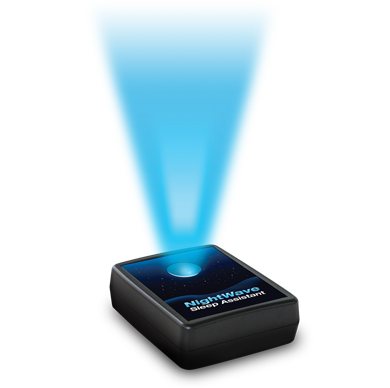 The machine displays soft beams of blue light and follows the your breathing pulses to help to soothe and relax, causing you to fall sound asleep in due time. Nightwave comes in 7-minute and 25-minute cycles to help hypnotize even the most awake of troubled sleepers. Consider it an economical fix versus getting a prescription for Ambien. 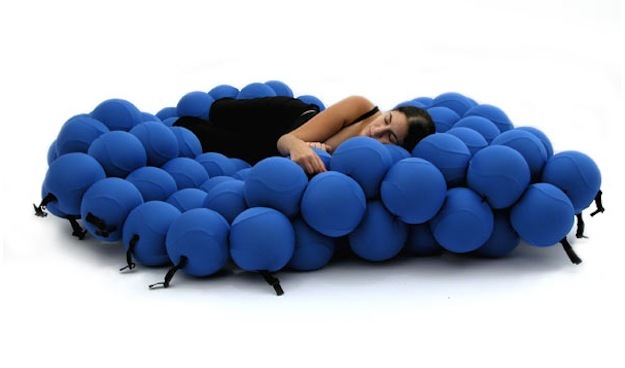 This isn’t technically limited to the bedroom, but it’s a nice little gadget to have when you want to catch a quick snooze wherever you please. 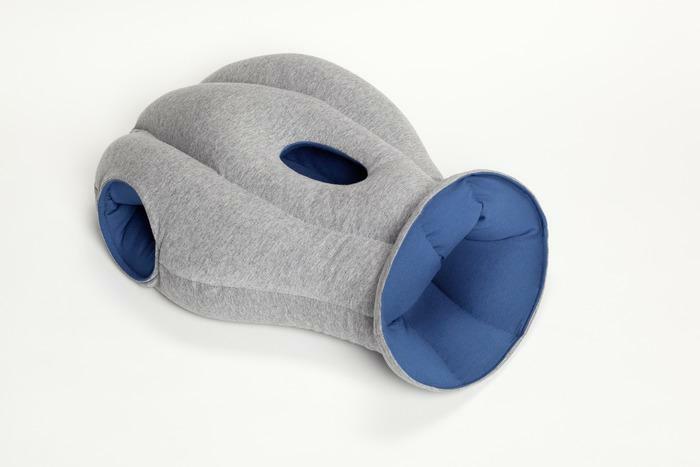 Whether it’s at the study hall or airport gate, just slip the feather-soft, cushiony Ostrich Pillow over your head and it’s instant nap time without the embarrassment of those pesky onlookers. Alright, maybe people are still going to judge, but think like an ostrich! If you can’t see them, they can’t see you. Besides, you’re the one enjoying a much-deserved deep sleep. You’ve got your full eight hours of sleep thanks to the above gadgets and now it’s time to get up. What better way to rise and shine than wake up naturally with the Philips Wake Up Light? 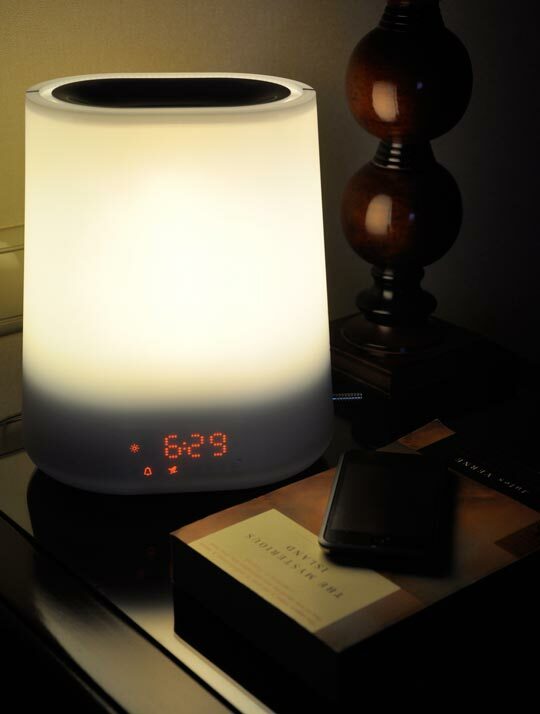 The tiny lamp gradually glows to stimulate sunrise so you body can adjust to waking up instead of that blaring alarm you hit snooze to twice every morning. Even if you don’t want to get up yet, at least the wake up call is gentle and pleasant. The Philips Wake Up Light comes with 20 different light settings so you can adjust your preferred light intensity, and the machine is UV-free.